Honeycomb never looked so good! 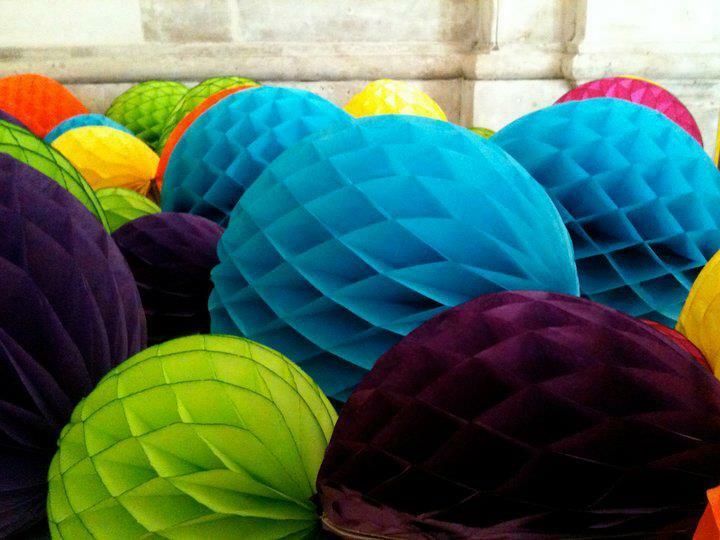 These Honeycomb tissue balls are made of premium quality tissue paper. 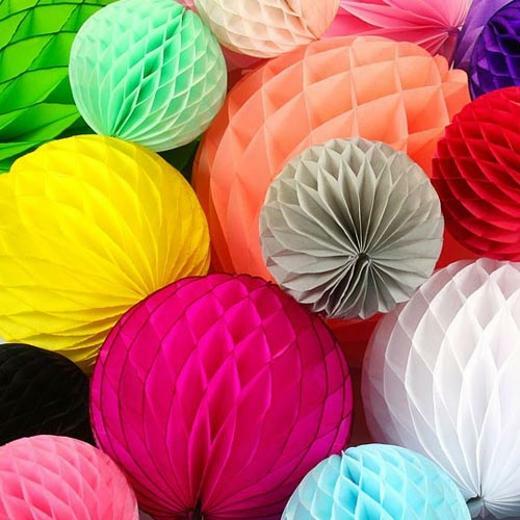 Use several honeycomb balls in different colors and sizes to create a layered effect in your party room! Use as a centerpiece, hang from the ceiling, or open against a wall. These honeycomb balls are made in the USA. Please note that due to variations in lots and dyes, color may vary. I used a lot of colored balls to hang from the ceiling for my husband's theme colored surprise party! everyone was impressed with the quality and color! We will for sure come back for more! I used this for my school's Halloween decorations and for fall. This held up great in the school and looked really nice hanging from the ceiling. I bought these to help promote the tomato fest for my supermarket. I put these up throughout the store to remind people that produce was on sale. It helped bump up my sales for the month and they really looked great! nice and colorful!